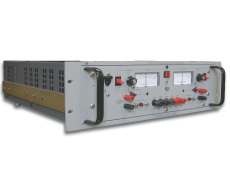 Princeton Applied Research offers a range of potentiostats and electrochemical testing systems, with specifications and prices to meet most research applications and budgets. We are available to advise on which system suits your research needs best, from high current and high voltage to extremely sensitive current measurements, front panel to computer control, single channel and multichannel. Rental programmes are also available – contact us for details. Compact single channel potentiostat for both DC and AC applications. 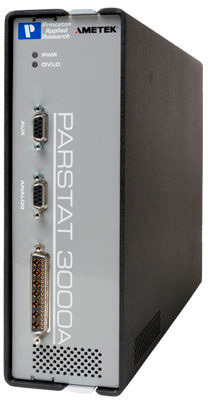 Flagship of the PARSTAT range. Complete system with superior DC and AC measurement capability. The VersaSTAT series combines performance and versatility, offering excellent value for electrochemical scientists and researchers. 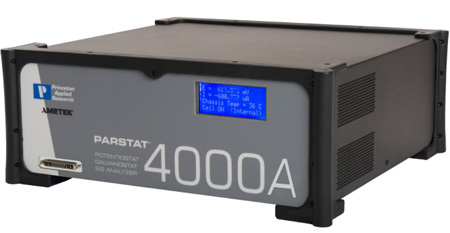 Value oriented potentiostat / galvanostat, providing core electrochemical capabilities. Potentiostat / galvanostat for routine electrochemistry and education. Potentiostat / galvanostat for earth-grounded cells. 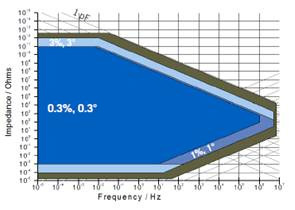 Plug-in for low current measurements. Boost your current measurement capabilities.